History of Cardiology | Adventures of a Funky Heart! Tuesday, November 28, 1944: Sometime during the evening of the 28th, Dr. Alfred Blalock places a telephone call to the Surgical Laboratory at Johns Hopkins Hospital. His Surgical Assistant, Vivien Thomas, has recently developed a surgical correction for the heart defect known as Tetralogy of Fallot, also known as Blue Baby Syndrome. The two men have planned for Thomas to teach Blalock the steps needed to successfully complete the surgery during an operation on a dog. Blalock has done the operation only once and many more teaching sessions are needed. Blalock is calling with grim news: Earlier he had asked Thomas about the possibility of operating on 19 month old infant Eileen Saxon. Weighing only nine pounds and often cyanotic, the dusky blue color that gives this malady its name, she is deteriorating rapidly. At the moment she is so cyanotic that she is purple and is struggling for every breath. Dr. Blalock tells Thomas to meet with Elizabeth Sherwood, the operating room supervisor, first thing in the morning. Thomas has invented several surgical tools specifically for this operation and he is to make sure that they are available. Thomas is stunned and reminds Blalock that he doesn’t know the operation very well. “But if you don’t get ahead of yourself, break it down into smaller and smaller steps as you work, it can be done.” It is one of the familiar sayings Thomas uses when he is teaching proper surgical procedure and for a moment, Blalock feels as if he is the assistant. After Blalock hangs up, Dr. Helen Taussig orders him home. Blalock protests, but she reminds him that he plans to operate in the morning – an operation that could very well be emergency surgery. The hospital has his telephone number should he be needed during the night. At roughly the same time, Thomas and Blalock leave for their respective homes. Segregation is still prevalent at the time and Thomas leaves by a back entrance; neither man knows the other one has left. Dr. Taussig spends the night on the ward; Eileen’s parents are also there. Although they don’t know it, this is an ominous sign: in the 1940’s, visiting hours rules were strictly enforced unless a patient was seriously ill.
Wednesday, November 29, 1944: Too nervous to drive, Blalock asks his wife Mary to take him to the hospital. She lets him out of the car in front of the towering Johns Hopkins dome. Dr. Blalock enters the building, walks through the rotunda (rubbing the toe of the Statue of Christ for luck, an old Hopkins tradition) and turns left. From here he exits the building through a side door, walks approximately 50 yards, and into the Harriet Lane Home for Invalid Children. Vivien Thomas enters the Hopkins complex from a side entrance and goes immediately to Elizabeth Sherwood’s office. Miss Sherwood knows nothing about Dr. Blalock’s plan to operate but immediately shows Thomas the selection of items that will be available to Dr. Blalock. Thomas adds custom-made clamps and needles to the collection. These needles are no more than 1/2 inch long. Thomas insists that the clamps and needles not become part of the general operating room supplies – they have been custom made for this operation only. Blalock and Taussig examine the child and confer. Eileen has not improved during the night, and Taussig concedes that there is nothing else that she can do. She leaves the meeting as Thomas arrives, perhaps to return to Eileen’s bedside or for a quick trip to the Cafeteria. Blalock and Thomas discuss the upcoming operation. They go over some of the more critical steps, and also discuss “routine” points such as where the incision should be made. Thomas informs him that Miss Sherwood has promised that the large operative theatre will be available but needs to know when the operation will begin. Blalock decides that the operation will take place after the morning rounds, unless events dictate otherwise. He leaves to confer with Eileen’s parents and to conduct Rounds. Thomas did not normally participate in Rounds so he would have gone to the Surgical Lab, although he may have gone to his office. He calls Miss Sherwood and informs her of Blalock’s decision. The operative team convenes in the Scrub Room annex connected to Room 706. Although first chosen at random, the majority of Hopkins’ early heart surgeries will take place here and the room will come to be known as “The Heart Room.” Dr. William Longmire and Dr. Denton Cooley will assist. An unknown person sets up a movie camera pointed at the operating room table; this film still exists in the Johns Hopkins Hospital Archives. Blalock continues to discuss the upcoming operation with Thomas as he prepares for surgery. Thomas is not scrubbed in and has no intention to – he is not allowed on the Operating Room floor. He will be seated in the raised seats of the theatre, however. Helen Taussig will be in the Operating Room, even though she is not a surgeon. She’ll spend most of her time at the head of the table, monitoring the patient. A few minutes before Eileen arrives, Blalock quietly asks his scrub nurse to find Thomas and help him get scrubbed in. As expected, Thomas is seated in the bleachers above the OR. Blalock also orders a milk crate and has it placed behind him. Thomas stands on the crate, peering over Blalock’s shoulder at the operative field. Blalock works patiently, finding the Left Subclavian Artery and the left branch of the Pulmonary Artery. He places a clamp on the Subclavian to cut off blood flow – using one of the clamps designed by Vivien Thomas for this procedure – and cuts it. He then places two similar clamps on the left branch of the Pulmonary Artery. Making a small opening in the Pulmonary Artery, Blalock uses the tiny needles Thomas has prepared to sew the Subclavian Artery into the Pulmonary Artery. After double checking his work, Blalock removes the clamps. He is unable to feel blood flowing through the new connection. Eileen is moved to the Recovery Room, where Dr. Henry Bahnson is responsible for her care. As one might expect, Blalock and Taussig look in on her often. Bahnson’s opinion is that the little girl is still very blue but improves over time. Eileen’s mother comments “When I saw Eileen for the first time, it was like a miracle… I was beside myself with happiness.” Very little is known of Thomas’ movements after the operation. He is seen in Recovery and also in his Lab. As the sun sets on the city of Baltimore, Eileen remains in critical condition but she is stable. The operation is a success, but in a few months it will fail and she will need another Blalock-Taussig Procedure, this time on her right side. She will die just before her 3rd birthday. The doctors determine that the surgery is more suited to an older child whose blood vessels have had a chance to grow. In early 1945 Blalock and Taussig co-authored a medical journal article about the first three procedures. 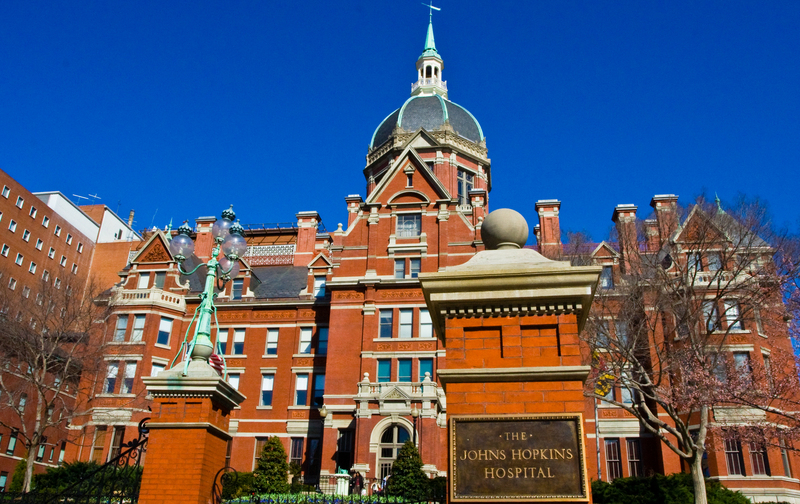 Hundreds of patients would flock to Johns Hopkins Hospital to receive the life-saving surgery, even though the odds were long: an article in the February 17, 1947 issue of The American Weekly noted that 14 of the first 70 patients had died. But parents noted that 56 of them had lived and were growing up, something that had never happened before. The era of Congenital Cardiac Surgery has begun. “Watch for bleeding,” his assistant reminded him as he started to remove the clamp. Blalock nodded, ready to drop the clamp back into place if the new connection leaked. But not too hard, too much pressure and you crush the Pulmonary Artery; do that and you kill the patient. His partner, Dr. Helen Taussig, stood near the head of the table. Heart surgery had been her idea, she had just as much riding on this operation as he did. Probably more – she had assured both him and the child’s parents that the theory behind this operation was sound. The little girl’s heart defect caused Cyanosis – she was literally suffocating from lack of oxygen. Taussig’s theory was to reroute a blood vessel to the lung and increase the amount of oxygenated blood available. Blalock’s assistant, Vivien Thomas, had designed the operation and tested it. All three of them had their reputations on the line. And the irony of it all was if things went bad, he’d probably be the one to suffer least. Blalock was the Chief of Surgery, after all. Taussig was an almost deaf female doctor (who ever heard of such a thing?) and Thomas was a Black man who official job description wasn’t supposed to bring him anywhere near a scalpel, much less doing experimental surgery. If things went wrong, they would be the ones hung out to dry. So let’s not allow things to go wrong, Blalock thought as he inspected his work again. “I’m removing the clamps,” he finally said. Reaching into the open wound, he gently touched the new connection. “I can’t feel any flow,” Blalock said, disappointed. After a long pause, Taussig spoke. “Al, the baby’s lips are a glorious pink color.” Stunned, the surgeon watched as the child’s blue lips slowly turned pink. Before that day in 1944 heart defects were almost always fatal, usually during the first year of life. Occasionally a child was lucky enough to survive to late childhood or the early teens, but that was only under the best of circumstances. And that “lucky” child had no strength, no energy, and very little Quality of Life. Even after that first surgery (the Blalock-Taussig Shunt) there was still only one operation, designed to relieve the effects of one heart defect. The odds weren’t good, but CHDers now had a chance. And sometimes one chance is all you need. CHD Survivors, our families, and our friends celebrate November 29 as Red and Blue Day. Participating in Red and Blue Day is simple – just dress in red and blue clothing. You don’t have to donate any money (though if you choose to, your favorite CHD Support Group would be an excellent choice!) and you don’t have to volunteer to do anything. Simple as can be. If anyone compliments you on your good taste or your color scheme, just be prepared to explain why you chose those colors. A Heart Defect is an Invisible Disability… many of us don’t even look like we have a health problem. Some of us are Cyanotic, but you have to look really close (and know what you are looking for) to see it. But November 29 is OUR DAY, so wear Red and Blue… and let’s stand out! Dr. Richard J. Bing, who was profiled on this blog back in April, has passed away at the age of 101. NOTE TO READERS: We’re off on a Secret Mission tomorrow, so there may not be a post on Thursday. You’ll hear all about it later, though! I was looking through my 1967 Johns Hopkins records and especially looking over the nurse reports. The nurse reports make up over half of my total file – neat sheets with handwritten measurements gathered at certain times. This was long before electronic records and most monitoring equipment. Nursing was really a hands on profession, not that it isn’t now. I’ve been cared for by some awesome people over the years, and a lot of them are nurses. You see and interact with the nurse a lot more than you do with the doctor, so when you are assigned a really good nurse it is a Great Thing and a Big Deal. A big part of the job is observation and reporting, and in the ’60’s you were doing this constantly. There weren’t many automatic alarms that would go off when something was wrong; it was the nurse’s job to almost see problems coming. You were looking, observing, and making notes on every patient, so a good nurse had her head on a swivel. The nurses reports in my file I’ve nicknamed my “pee and poop sheets” because that was a major part of what was recorded: My temperature, amount taken in (input), amount expelled (output), and what I was doing at the time. Remember I was five months old; at any time of day I might be “playing”, “sleeping”, or more than likely, “crying”. Hey, I was a baby, and you people had just cut my chest open and tinkered around in there. You’d cry, too! The order of the day was “Observe the patient.” You can almost hear the nursing department answer OK… what are we looking for? Trouble is, Cardiac Surgery was only about 25 years old then – they knew they had to prevent Pneumonia but after that, no one was really sure what to expect. So the Surgical Department just told them to observe the patient closely. I had a fever on my 3rd day post-op. Hopkins called in a doctor who specialized in combating fever. “We see this a lot,” he told my parents. “Many patients spike a fever on the third day after their surgery, we don’t know why. If this is a 3 day fever, it will last about 24 hours and then it will disappear. We don’t know why that happens, either.” And he was correct – it was a 3 day fever, and it was gone 24 hours later. But he also told the nurses to keep a close eye on me, just in case it wasn’t a 3 day fever. How do I know? The nurses report for that 24 hour period is crammed with notes. The best I can figure, they were checking on me every fifteen minutes for almost 30 hours. Good nurses are lifesavers – literally! Funky Heart reader Cindy forwarded THIS .PDF FILE that you need to read. Titled Forty Years of the Fontan Operation: A Failed Strategy, this report contains information that you should consider. Download it, print it, and read it carefully. But I’ll warn you: this report will make your hair stand up. Dr. Rychik lists detailed statistics concerning the decline of Fontan patients, then explains why they tend to deteriorate: elevated central venous pressure coupled with a reduction in cardiac output. He then explains three important issues for a Fontan patient: liver damage; Plastic Bronchitis, and Protein Losing Enteropathy (PLE). This report may be disturbing to many readers, but please remember: outcomes aren’t pre-determined. Dr. Rychik states that 40 years ago single ventricle defects were “uniformly lethal” – but I just turned 44. Heart defects aren’t like math, the answers are not so cut and dried. 2 +2 =4; 4 x 4 = 16. That’s a constant. But each defect affects the patient slightly differently, and the “standard answers” may not apply. When you are talking about a defective heart, 2+2 may equal 66.4. Just making a guess, I believe that I know 12 to 18 people who have had the Fontan. That includes close friends, people I have met just once or twice, and some I only know through email and blogs. These people are in all stages of health – a few are doing wonderfully, most of them are doing good with occasional Bad Days, and a few can barely go. When you rank test subjects based on general health, Fontan survivors won’t be grouped around one point. They’ll be all over the place. To quote almost every Cardiologist who has ever discussed future options with a patient: It’s certainly not perfect, but it is what we have to work with. Rychik concludes that in the past, giving a single ventricle patient the ability to live 30+ years was a noble goal. Today, it is unacceptable. He contends that Cardiologists and surgeons need to think outside of the box, and come up with new options – either redesign the Fontan (again); scrap it in favor of something else; or develop a Right Ventricle Assist Device. Either way, every heart deserves to live a lifetime. Palmetto Hearts, the South Carolina based Congenital Heart Defect (CHD) support group, will be holding their Pediatric Cardiology Reunion September 25, 2010. This event will be held at The Children’s Museum of the Lowcountry in Charleston, SC, and I will be attending! This is not a CHD Conference, but rather a party/get together of Cardiac Kids who had their Congenital Heart Surgery at the Medical University of South Carolina (MUSC). Even though MUSC is based in Charleston, it is the only Congenital Heart Surgery center in the state. So Palmetto Hearts has members from across South Carolina. I’m not planning a presentation and there won’t be any informational sessions, so I’m not planning to live blog. This is just a group of friends with common experiences getting together. I’m an MUSC “Alumni” too – after Dr. Richard Rowe left Johns Hopkins Hospital, we decided to find a Pediatric Cardiologist closer to home. But I was seen at MUSC in the early 1970’s, long before these Cardiac Kids (and perhaps their parents) were born! I’m a walking, talking history book… when I was young, the different hospital departments didn’t work together as well as they do now. Often the right hand didn’t know what the left hand was doing. But that was OK, because the left hand didn’t seem to know that there was a right hand! Life as a CHDer back then really was an adventure! My name is Steve Catoe and I was born in 1966 with Tricuspid Atresia. I had the Classic Glen Shunt operation done at Johns Hopkins Hospital in February of 1967, and I had a Blalock-Taussig at the University of Alabama at Birmingham in 1977. In 1988 I was back in Alabama to have the Fontan. I began to bleed badly when they cracked my breastbone and needed 20 units of blood. They were not able to do the surgery, but I still got all the incision pain and the recovery time, free of charge! When you have a heart defect, your daily energy level is going to feel like a roller coaster ride. Every day, I plan to feel on top of the world. But like the song says, “Some days you’re the windshield, and some days you’re the bug.” On those days you learn how to fake it until you make it. Karen McNalty, the woman who created the Adult Congenital Heart Association, had a trick. She’d stop and smell the roses, look at the sunset, or admire the scenery. You’d think Karen was a real nature lover. But what she was doing was taking a few moments to rest. I’ve pulled the Karen McNalty trick many times. I used to work at a museum that rented out our meeting room, and quite often we had to set up a dozen or more large round tables. I didn’t see any reason to carry or drag those tables, not when I could kick them up on their edge and roll them like a wheel. And if I sang a few bars of “Rollin’ on the River” while I was doing it, everyone would think I was crazy, not sick. In the 1930’s radio show The Shadow always asked “Who knows what evil lurks in the hearts of men?” The Cardiologist knows! Some of the most intelligent people in medicine choose to work in Cardiology and if you have a heart defect, you get to meet them! I see an Adult Congenital Cardiologist at Emory University in Atlanta, and not only do I have him in my corner, I have his partner and all their nurses at my back. And they are my Weapon of Choice. Because when I have to fight my heart defect, I do not fight fair! A few months ago I attended a speech given by a retired doctor with Tetralogy of Fallot. He said “One day we’ll live to be 80, 90, or even 100 years old.” We’re well on our way to that goal – just about 95% of all children having heart surgery grow up, and for the first time, Adults with CHD outnumber the Cardiac Kids. I’m 43 years old, and I have seen some amazing changes in Cardiology. My first EKG took more than an hour and was printed out on a long roll of cash register tape. My second surgery took place before anyone had thought of a cough bear, so twice a day two nurses would come into your room, sit you up, and pound on your back until you coughed lung gunk into a cup. And this was not long after surgery! I’ve never had an MRI before an operation because MRIs didn’t exist. And if I have seen all this, can you imagine what is coming next? A Left Ventricle Assistance Device is a small pump that can be connected to a failing heart and keep it going longer, hopefully giving enough time to find a good heart for transplant. And some models are being tested as “destination therapy.” What does that mean? Destination Therapy means that the pump can be the last step – no need for a transplant. These devices are powered by a battery pack outside of the body, and the batteries are getting smaller. But Robert Jarvick is working on an Assistance Device with no battery pack at all. It gets its power through the use of tiny magnets. At Wake Forest University and in Pittsburgh, two different teams of scientists are growing organs in the lab. The Wake Forest team has actually grown bladders in the lab and implanted them into humans as transplant organs. And since the patient is the source of the cells they use, there is no chance of rejection. As far as the immune system is concerned, that bladder is original equipment. They’re also working on heart valves and blood vessels. Surgical techniques are improving, too. My 1967 operation was the Glenn Shunt. A lot of your children also have the Glenn, but mine is the original version that only sends blood to the right lung. Today’s Glenn sends blood to both lungs and reduces the strain on the right lung. The Fontan didn’t provide the results that doctors were looking for, so the operation was redesigned – twice. Does anyone remember the Blalock-Hanlon Shunt? That was the operation used when you had to open the heart and create an ASD, and that was done as part of my first operation . It’s still around, in the back of musty old textbooks. But the majority of ASDs are created by Catheter now and the procedure is much easier on the patient. With the proper level of care Cardiac Kids can have a long life. But what good will that life be if they live in fear, if they run and hide, or if they say “I can’t, I have a bad heart.”? Teach your Heart Child to embrace life, enjoy it, and make the most of it. Teach them the self confidence to find a way to complete a task even if it isn’t the accepted way. Be careful, but don’t be scared. And teach them that every heart deserves to live a lifetime. I was at Emory University Hospital for my checkup last year and a few moments before had been “strapped” to the Electrocardiogram, also known as the EKG machine. Really, it is called the ECG… EKG is from the original German name, which isn’t used that much anymore. And they don’t actually use straps to hold the electrodes on you anymore. They did, in the 1970’s… I’ve been EKG’ed with sticky pads, straps, and for a while they attached the electrodes with little red suction cups. Those didn’t work out so well: they would often release from your skin with a “pop!” and when they came off in the middle of the test, the test was stopped and they had to start over from the beginning. A friend of mine commented that when they used the suction cups you always looked as if you were covered in hickeys, but hadn’t been kissing anybody! We hushed! Both the Cardiologist and I looked a little embarrassed. I started to mumble an apology but I got THE LOOK from the tech. I always thought that only your momma or your girlfriend/wife could give you The Look. You are supposed to be still and quiet when they do an EKG test on you, so you don’t affect the results of the test. Back in the mid 1960’s when I was born, there were a few other rules, too. You had to be quiet and not move; no one could touch you because the technology was still pretty fragile – touching the patient was thought to affect the test. And the EKG machines of the time were so slow that a test took about an hour. Following those guidelines – be still, be quiet, don’t touch the patient, the test will take about an hour – let’s see you give a baby an EKG. From what I have been told, doing an EKG on a baby could make a group of highly competent doctors look like the Keystone Kops. But someone at my local community hospital had figured it out, and gave my parents the best advice on how to make sure I was able to undergo the EKG: Don’t feed me. He told my parents not to feed me that day, or if I had an afternoon appointment, feed me just a little in the morning. Then when it was time to do the EKG, hold my bottle just above my head and then feed me. As predicted, I was much too interested in food to think about moving around! And by standing beside the table and holding the bottle above my head, no one was breaking the “don’t touch” rule. When you think of “Advances in Medicine”, you often think of new drugs, new surgeries, new technology. Big inventions that get your name in medical journals. But even little ideas – like how to give a baby an EKG exam, for example – help too! I had to go to the doctor’s office for a blood test this morning. Later, my mother asked how it went. “What’s the difference between your phone and an iPhone?” Mom asked. I turned it in at the Reception Desk, so if you have misplaced your very cool mobile phone – and it has an 803 area code – call your doctor’s office! Have you had Open Heart Surgery? Are you sure? Because sometimes, Open Heart Surgery isn’t open heart surgery. It may seem like a little bit of a pet peeve, but seriously, if you are going to speak intelligently about a medical issue, you need to learn the terminology. I am certainly not perfect – it is an Emergency Department, but I am one of the worst about calling it the Emergency Room. I usually manage to type Department, but say Room. (No male wants to go to the ED.) I worked at a museum for ten years but still spell it musuem… thank goodness for Spellcheck! Actual, true “Open Heart Surgery” means that an incision was made in the heart – but the term has come to mean all surgical procedures involving the heart. The Blalock-Taussig shunt, for example, was not an open heart surgery. This was the first planned Congenital surgery, and no one knew what would happen if an incision was made in the heart. No one wanted to even get near the heart, just clamp and cut that Subclavian blood vessel we talked about, Dr. Blalock. Clamp the Pulmonary Artery and sew the two together, and get out. So my 2nd operation was not an open heart procedure. My first one wasn’t supposed to be either the Glenn shunt of that time required sewing the Superior Vena Cava closed, cutting the right branch of the Pulmonary Artery and then sewing that into the Superior Vena Cava. That would deliver blood going through the Vena Cava not to the heart, but shunt it over to the right lung. For a person to live with Tricuspid Atresia, they must have an Atrial Septal Defect (ASD) and a Ventricular Septal Defect (VSD). There are no exceptions – if you don’t have those two holes the blood can’t find a route through the heart and lungs. My ASD was smaller than it should have been, so Dr. Gott performed the Blalock-Hanlon procedure on me. In the Blalock-Hanlon, you cut into the Right Atrium and use a probe or a scalpel to enlarge (or create) an ASD. So even though it wasn’t part of the original plan, I did have Open Heart Surgery. Dr. Clarence Dennis was the first person to try to use a Heart-Lung machine and perform Open Heart Surgery in April of 1951. Dennis and his team thought they were going to be fixing a simple ASD, but almost as soon as the heart was open they found themselves face-to-face with a severe Heart Defect. Dennis later admitted, “I wasn’t even certain what I was looking at.” They got out quickly and the patient died in Recovery a few hours later. Dr. John Gibbon was the next person to try Open Heart Surgery, using a Heart-Lung machine of his own design. In the early and mid 1950s all heart lung machines were built as needed and each one of them was different, reflecting the perceived needs of the designer. Pretty much the only thing consistent between all of the machines was the tubing, as a certain beer distributor sold tubing that had a very smooth interior. At one time that company sold to just as many hospitals and individual doctors as they sold to drinking establishments. Gibbon’s Heart-Lung machine worked and the operation was a success! Positive that he was onto something, Gibbon used the Heart-Lung machine three more times – and failed badly each time, resulting in three deaths. Gibbon was shaken so badly he destroyed his machine, burned the plans, and never operated again. Reaching down into the well, the surgeon made his incision in the heart. The rubber cone would immediately fill with blood, but since it was both wide and tall, it shouldn’t overflow. The surgeon was then supposed to reach down into the blood, find the ASD (by feel!) and sew it up. The incision would then be closed (again, only by touch) and the blood drained off with a small pump. Once the surgeon was satisfied that there were no leaks, the Arterial Well could be removed and the blood replaced by IV. As you might imagine, that idea didn’t work out very well! Dr. John Lewis fixed an ASD in 1952. Lewis used Hypothermia – once sedated, the patient was placed in a large tub of ice. The hypothermia worked, but not for long; the heartbeat was slow enough for surgery for only about 10 minutes. In the room with Dr, Lewis was C. Walton Lillehei, who had some ideas of his own. Lillehei used a cross circulation technique – someone of the same blood type (preferably a close relative) lay on a table next to the patient. Lilllehei would stop the patient’s heart, using the second person as a living Heart-Lung machine! Blood would flow through connections and tubes from the patient to the 2nd person, then back to the patient’s body. Although there was always the possibility that something could go wrong and kill the patient and the volunteer, this setup worked. It wasn’t perfect (most of the patients who passed away died from pneumonia, an all too common occurance in the early days of heart surgery) but the success rate was more than 50%. Lillehei also had a discussion with Earl Bakken about some kind of electronic device that could regulate a heartbeat. Bakken went home and designed the first pacemaker in his garage – and eventually formed Medtronic! Working with Dr. Richard DeWall, the two developed yet another Heart-Lung machine in 1955. This one worked – and it worked so well that from 1955 until the 1970’s, the Lillehei-DeWall Oxygenator was the top of the line model. So if you’ve had Open Heart Surgery, take a moment to reflect on all the effort – and lives – it took to get it right. From the late 1800’s until the 1950’s, the field of Pediatric Cardiology was dominated by women. In fact, women were working in Pediatric Cardiology before anyone had ever named the specialty. Because Pediatric Cardiology wasn’t really a medical specialty – it was where kids (and medical careers) went to die. And no one who had any sense wanted anything to do with it. This was the state of medicine when Canadian Maude Abbott became a doctor in 1894. The number of female doctors at the time – in both Canada and America – could be counted on one hand. The male dominated medical profession viewed a female doctor as little more than a well-educated nurse. Even female patients were leery of a woman doctor. Born in 1869, Abbott had decided on a medical career and graduated from Bishop’s College medical school in 1894. Abbott had gotten her undergraduate degree from McGill College and had applied to their medical school, only to find that they didn’t want her. McGill was one of the many medical schools that did not admit women. Unable to find a job that suited her, Doctor Abbott toured Europe. She returned to Canada in 1987, opening a practice in Montreal. Before long, a fellow doctor (and her less than successful practice) had convinced her to take a research job at Royal Victoria Hospital. While at Royal Victoria, Abbott became interested in hearts and did ground breaking research on heart murmurs. The paper was good enough to be accepted by the Montreal Medical Society for presentation to the Society at their annual meeting. But Abbott would not be able to present it; the Society did not allow female membership. If the work were to be presented, a male member of the Society would have to do it. Reluctantly, Abbott turned over her work and the paper was presented. But when the paper appeared in the Medical Society journal, it was assumed by readers that the gentleman was the author. Time passed and people forgot; it wasn’t until the early 1970’s that the M. E. Abbott, MD listed on the title sheet was recognized as the actual writer. By late 1898 Maude Abbott was back at McGill. Stung by the fact that they had turned away someone who would eventually be recognized by the Montreal Medical Society (even if she was just a girl) McGill wanted her… but they didn’t have any job to give her. Finally they appointed Dr. Abbott as Assistant Curator of the Medical Museum with a promise to promote her when the Curator retired. A 19th century medical museum was not what you might expect. Its primary job was to help doctors learn, and the museum was full of preserved body parts. Even with preservation, the “exhibits” would wear out and new items were constantly being sought out. A good museum also had any number of unusual or diseased specimens – things doctors might not see very often. These were very much desired as medical training of the day was more hands on, and a good museum would have plenty of normal and unusual items to study. McGill was not a good medical museum. Things were misplaced, mislabeled, or had disappeared. There wasn’t even a catalogue and no one seemed to know where anything was. Even worse, the employees had no medical training; you could refer to something by its scientific name and no one knew what you were talking about. Obviously the first job would be the hardest – catalog and organize everything, give it some sense of order. Abbott’s boss looked at the calender – three weeks to his retirement. No way did he want to get involved in a major project this close to leaving. But if you want to, go right ahead. So Maude got busy. And that is when she found it. A preserved heart in a glass jar. But was this thing really a heart – there were what looked like two Atriums, but only one Ventricle. A deeper study revealed a second Ventricle, one so small that it was barely noticable. Two of the valves drained into the larger Ventricle, and she couldn’t tell what fed the other Ventricle. The label on the container read Ulcerative Endocarditis, but that had to be the cause of death. Endocarditis could not do this to a heart. As expected, no one knew anything about the heart. Abbott knew someone who might; Dr. William Osler was a McGill graduate and an old friend. Osler was living in the United States and building Johns Hopkins into the institution that it would become. Abbott wrote Dr. Osler, describing the heart and asking if he knew anything about it. Curious still, Abbott searched for the issue of the Edinburgh Medical Journal that contained the research paper about the heart. She was shocked to discover that the heart was removed from a 22-year-old man during his autopsy. This heart had worked for twenty-two years? HOW? With that thought in her head, Doctor Maude Abbott decided to try to find out exactly how a defective heart worked… and perhaps one day, fix them. And in that moment Congenital Cardiology was born. The situation was almost the same for Dr. Helen Taussig. By 1930, there were still very few female doctors, and opinion of them had not improved. Taussig was about to get a job at Johns Hopkins Hospital because she had gone to medical school there – it would be a bit difficult for the Hopkins Administration to award Taussig an MD and then claim that she wasn’t good enough to do the job. Helen wasn’t doing anything to discourage that thinking, because she had a little known secret: Helen Taussig, MD was losing her hearing. Hopkins put her in charge of the Cardiac Care Unit of the Harriet Lane Home for Invalid Children, the dreaded Pediatric Cardiology department. In the 1930’s children with heart problems fell into two categories. One group had hearts weakened by Rheumatic Fever; these children would often recover but be left weakened by the disease’s attack on the heart valves; and children with Congenital Heart Defects (CHDs). CHDs were incurable with very few treatment options. If you were lucky a heart defect let you live until you were a teenager, but it always won in the end. 100% fatality rate – with luck, you could slow it down, but that was it. Taussig was a natural-born researcher and could see only one way to try to figure out how heart defects worked. Nearly every day she sat down with grieving parents and asked a terrible question: May I conduct an autopsy on your child? She wouldn’t leave the job to others, Taussig would do the autopsy herself, and often she would remove and preserve the heart. In a few years her office was an unofficial medical museum, made up almost exclusively of hearts. Word started getting around about what she was doing and other doctors started complaining. Taussig’s boss and former mentor in medical school, Dr. Edwards Park, had to tell her to try to be a little more discrete several times. Taussig could make a bad situation worse by wanting to slice up a child, and by now her hearing loss was obvious. But the Cardiac Clinic was also producing some results, and most of the new ideas came from Taussig. Heart Defects (“Congenital Malformations”, as Taussig always called them) still won all the battles, but they were helping the kids live longer and better. If your child has a heart problem, doctors around the country were telling parents, get them to Hopkins. Taussig had overcome her hearing problem with a special stethoscope that worked with a hearing aid (it was huge, the amplifier case is visible IN THIS PHOTO. Look for the black box balanced on the edge of the wheelchair) and by teaching herself to feel a heartbeat with her fingertips (CLICK HERE for a close up photo of her fingertip technique). But despite all this, there was nothing she could do. Children were living a little longer, and that was it. Taussig observed what she called the “Fallot Squat,” when children with Tetralogy of Fallot (ToF) would squat deeply, folding their knee joints as much as possible. After thinking about this activity Taussig was able to determine that the children with low blood oxygen were actually suffocating, despite breathing deeply. Further investigation and reasoning gave her an idea: Heart surgery had never been tried before, but what if the blood vessels near the heart were moved around? Rearrange them to deliver more blood to the lungs and oxygenate it better. Would that work? Taussig thought that it would – but she wasn’t a surgeon, and couldn’t convince any of the Hopkins surgeons to try it. A new Chief of Surgery arrived in late 1942, a man named Blalock from Vanderbilt University. It wasn’t love at first sight; in fact, the two disliked each other. The new doctor… well, he was a typical surgeon, thought the entire world revolved around him. His way or the highway. She wouldn’t admit to it, but Taussig could be stubborn herself. You didn’t mess with her patients, even a little bit. Add to that the fact that her deafness robbed her of a lot of opportunities for human interaction, and Helen Taussig was a loner. Her clinic, her patients, her research, her world. And very few people were admitted to that world. It finally came to a head in the Hopkins Cafeteria. Legend has it that Taussig barged into a conversation between Blalock and Parks and took over. Working fast because she knew she’d have only one chance, Taussig convinced Blalock that she knew what she was talking about: an operation to direct more blood to the lungs of kids with defective hearts might work. An additional year of research was frustrating, but necessary. Blalock and his research assistant, Vivien Thomas, had considered a similar idea while at Vanderbilt but had never progressed to human testing. Meanwhile, Helen was still doing autopsies. She didn’t like it, but moving too fast could ruin the entire project. On November 29, 1944 they still weren’t ready but they tried anyway. Eileen Saxon was near death and could not wait much longer. Entering through an incision in her side, Blalock clamped the Subclavian Artery, cut it, and sewed it into the Pulmonary Artery. When the clamps were removed the surgical team watched in amazement as her blue lips slowly turned pink. CLICK HERE for free updates to your Feed Reader! CLICK HERE for a free E-Mail Subscription to Adventures of a Funky Heart! Read about Heart Warrior Heather’s recent appearance on TV!